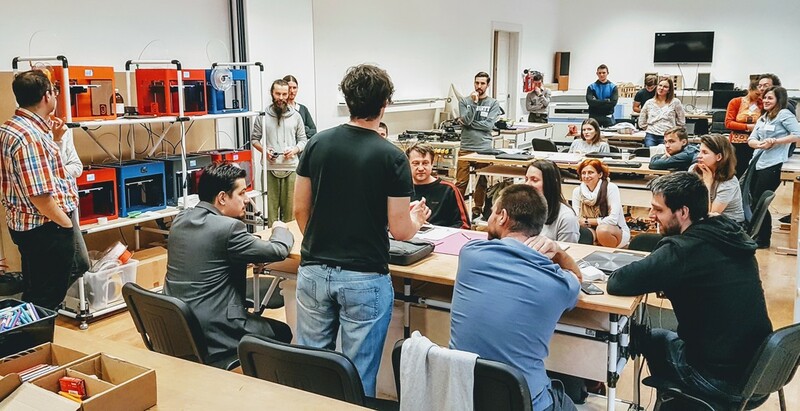 DIY Science Lab supports collaborative research and RRI with local societies, in order to enhance social innovation towards sustainability and public health. The purpose of pre-designation of themes through the ‘narrative development workshops’ is twofold. First, the development of some local narratives that we intend to use for the purpose of framing/communicating the local needs and identifying a local knowledge representative who would take the ownership of the problem and be invited to take part in the action design process. such as hackathons, design jams or longer term design events will be held in the venue of Makerspace.hu in Budapest. During these events we will support and train the participants for gaining actionable knowledge and using data and technology for community purposes. The experiments will be tailored based on time, personal and community needs and the type of participants. Provide well-defined collaboration, co-design process of RRI research and increased visibility for individual participants. Connecting local communities, citizens, individual researchers and social SMEs bringing in the competence and resources to drive the collaboration and innovation process themselves. 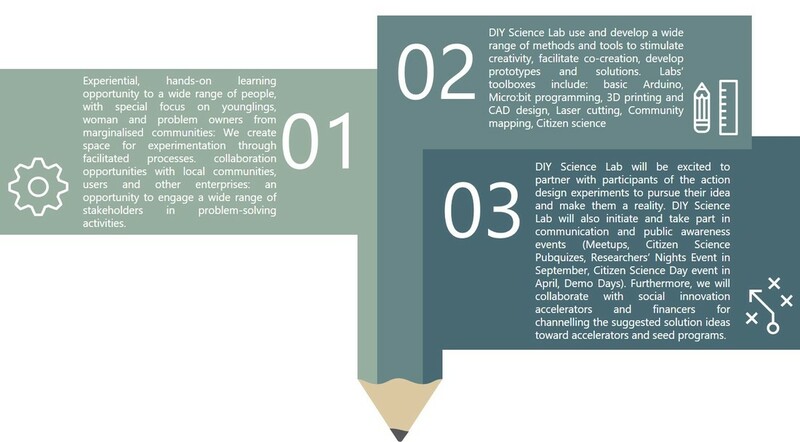 DIY Science Lab will be an innovation-process leader that involves local problem owners and researchers as well.